McCafé by Barista branches of McDonald’s Japan are release four new beverages for the winter season which will drop on November 14. 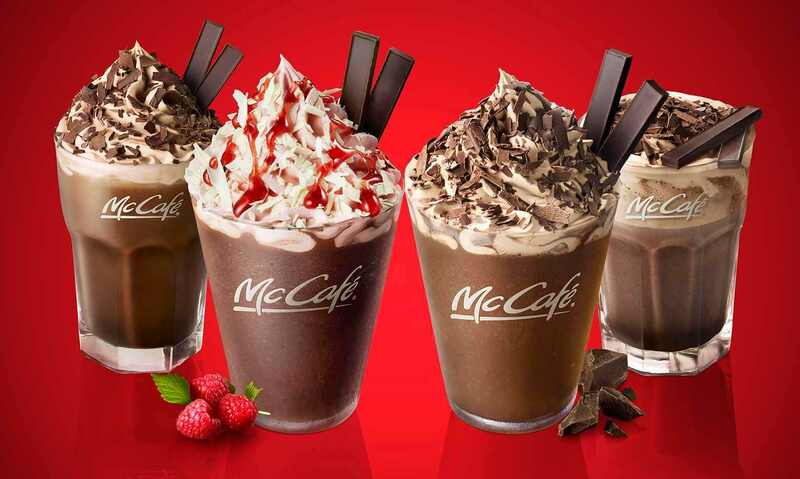 They include the Premium Raspberry Chocolate Frappe, Premium Chocolate Frappe, Premium Hot Chocolate, and Premium Iced Hot Chocolate. 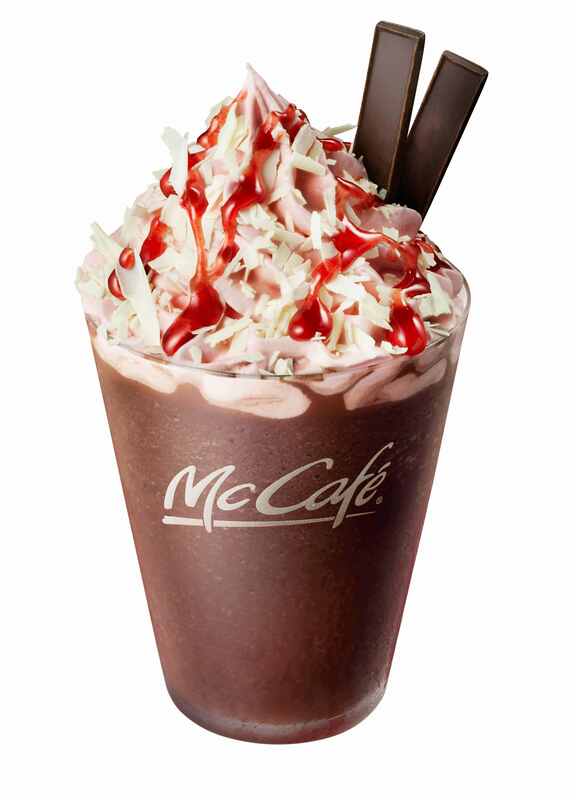 This fruity frappe is a mix of chocolate powder and raspberry syrup topped with shaved white chocolate and raspberry sauce. The rich taste of the chocolate creates an exquisite balance with the sweet and sour raspberry. If you’ve ever wanted to feel like you’re drinking pure chocolate, then this treat is for you. 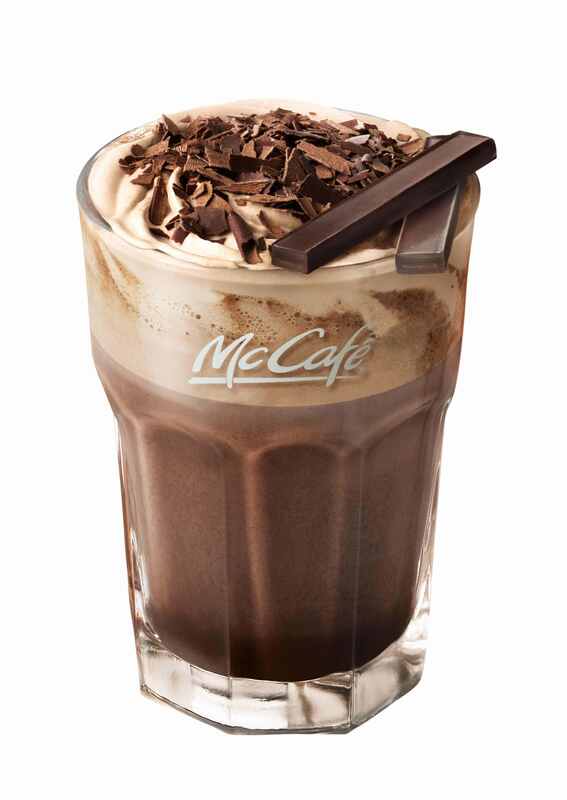 Expect your taste buds to enjoy the full-bodied and indulging taste of this frappe’s chocolatey goodness. 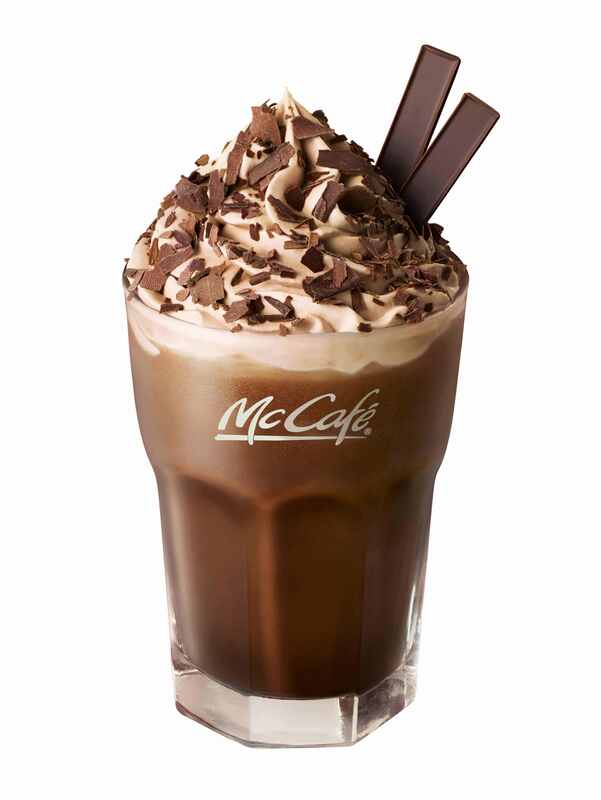 Your mouth will water at this fragrant and sweet-tasting chocolate drink which comes with both hot and iced options. 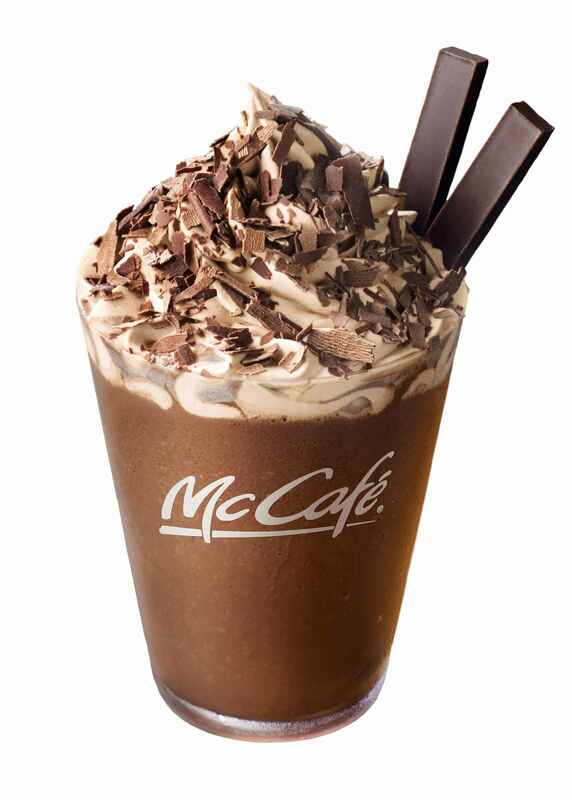 The iced version combines cold milk with chocolate powder and chocolate sauce. This is topped with chocolate whipped cream and chocolate shavings allowing for delicious enjoyment of different textures. The hot version also mixes together chocolate powder and chocolate sauce but is instead served hot with foamed milk. All four of these beverages also topped with two chocolate sticks made from cocoa beans farmed in West African countries including Ghana. Beat the cold this winter with this line-up of premium chocolate drinks.